Are you interested in teaching CPR/First Aid to the Seattle Community? Become an AHA Certified BLS Instructor and do just that! 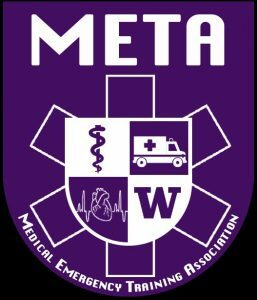 The Medical Emergency Training Association at UW (META UW) is an RSO on the University of Washington Seattle Campus that is committed to providing the Seattle community with high-quality CPR instruction. By becoming a CPR Instructor with META UW, you’ll work with people of all backgrounds to educate the best-practices based on current AHA research. Additionally, your position in META UW is a great opportunity to enhance your public speaking skills, work with individuals to instill valuable knowledge, and grow as an individual in the process. The application is due October 26th, 2018 at 11:59pm. If you have any questions, please reach out to us at metauw@uw.edu! This entry was posted in Course of Interest, Student Groups. Bookmark the permalink.